Given the speed with which her stock has fallen, it’s a relief to see that Aung San Suu Kyi isn’t being condemned for attending the Asia Pacific Summit 2018 in Kathmandu. In a way, Suu Kyi’s plight resembles that of the other dignitary in our midst: Prime Minister Hun Sen of Cambodia. A former mid-level Khmer Rouge functionary, Hun Sen endeared himself to the West after its massive exercise in nation-building in the early 1990s. By mid-decade, he began consolidating power by, among other things, high-handed marginalization of the other partners in the motley democratic coalition. Global criticism was mild. Over subsequent years, individual actions by the Hun Sen government have prompted predictable international attacks, but the general tone has remained muted. 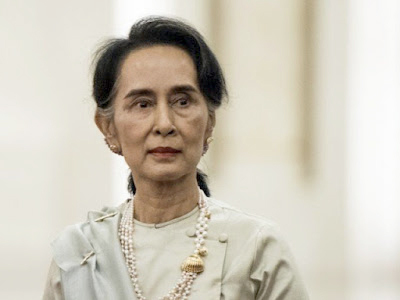 In our times, it is Myanmar’s leader who singularly encapsulates the international disenchantment produced when externally electrified hope crashes with domestic reality. Suu Kyi has been all but consumed by something that long preceded her ascent to power. The fact that an entrenched military regime refused to sway with the post-Berlin Wall breeze, annulled election results it did not like, and put the symbol of democracy under house arrest created a powerful narrative for the end-of-history peddlers. Suu Kyi knew better than anyone else that the Nobel Peace Prize she got was more for the satisfaction of the benefactors. In detention, she must have wondered for long hours how many times national reconciliation might have been pushed back by Western obsession with the repugnance of the junta. A series of uncomfortable questions cannot be avoided. Was Suu Kyi empowered enough to do anything about the Rohingyas? (Her official title, after all, is an insipid ‘state counsellor’.) Or should she have stepped down in disgust and demonized the real rulers for perpetrating the massive injustice? If so, to what real end? Just to preserve the sanctity of the Nobel Peace Prize that she never demanded as a birthright? Maybe Suu Kyi saw herself as that last hope for democracy in a country so precariously placed and abhorred the idea of simply giving up. And what about her supporters? They, too, must be revolted by the Rohingya tragedy. But have they been so to the extent of abandoning the standard-bearer of their wider hopes and aspirations? Robert Mugabe in Zimbabwe was once a darling of the West. If there hadn’t been too many other contenders and Cold War considerations, he might have won a Nobel Peace Prize too. Yet Mugabe was what he always was: a man wedded to a mission that he saw fit for his country. If he turned out to be dangerous, well, his disenchanted former international admirers should have searched a bit deeper within themselves. The West once adored Syria’s Basher Al Assad, too. He was living a comfortable life in London as an ophthalmologist when a group of geostrategic eggheads considered him best placed to succeed his long-ruling father, Hafez, in the late 1990s. When, in the midst of the Arab Spring a decade and a half later, Syria’s underlying fissures erupted to metastasize into a geopolitical contest, Assad held on tight. Soon everyone with a stated stake in the region since the Sykes-Picot Agreement jumped in while Assad regained the initiative. Figuring out who unleashed chemical weapons where might be easier than making sense of who is fighting whom backed by which external patron. Meanwhile, the Syrian people continue to suffer, and the UN Security Council keeps getting its bland periodic political and humanitarian briefings. Upon landing in Kathmandu, Suu Kyi must have fathomed the controversy Prime Minister Khadga Prasad Oli found himself in relation to whether his government did or did not co-sponsor the conference. Like Oli, she perhaps recognizes that things have to go on, no matter how tumultuous our times.